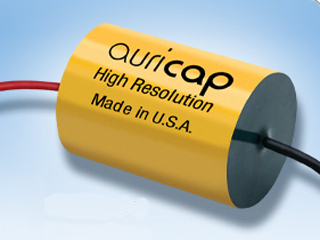 The Auricap is one of the most highly regarded capacitors in the audio industry. Further, it is one of the best metalized polypropylene constructions, most notable is its midrange bloom. The Black lead is the shield. Tolerance is 10%.